David Dunbar was a long-standing Crawley inhabitant, and a man of many parts, both within the village (including being church organist and choirmaster for many years) and the wider world. In particular, he had an avid interest in local history. 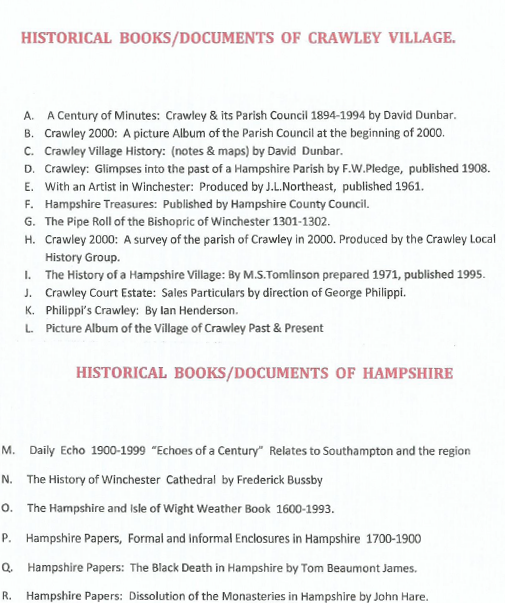 As well as writing the definitive history of the parish of Crawley "... a finer place to live", he gathered together a comprehensive collection of historical books and documents about Crawley and the area around.